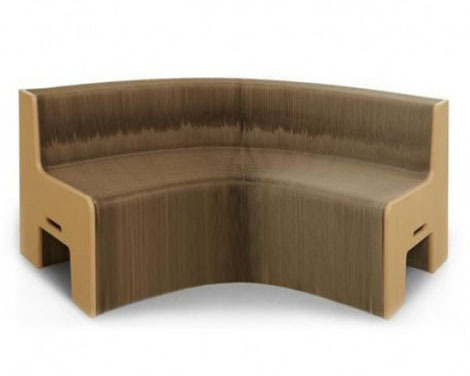 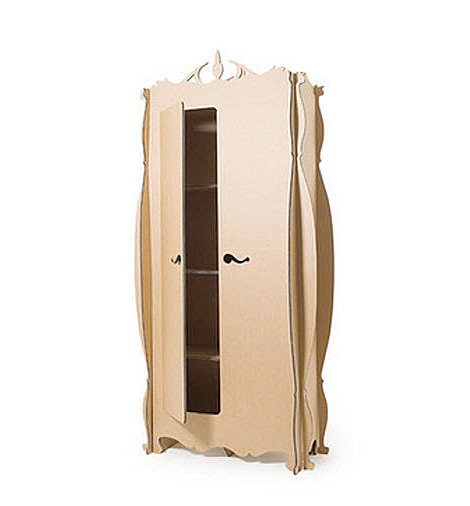 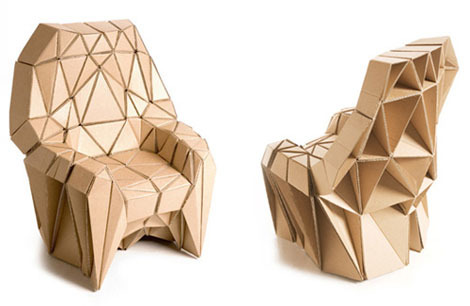 Cardboard furniture is a furniture designed to be made from cardboard, or heavy wood-based types of paper. 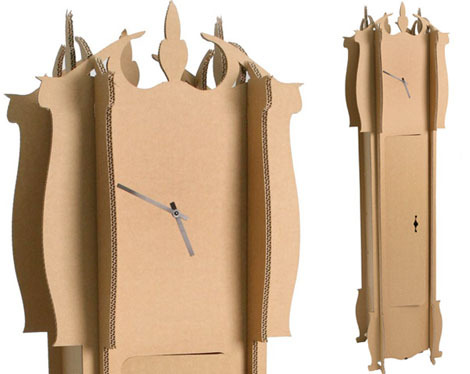 Although people have lived on and around cardboard for as long as it has existed, it was probably first introduced to the design world by Frank Gehry. 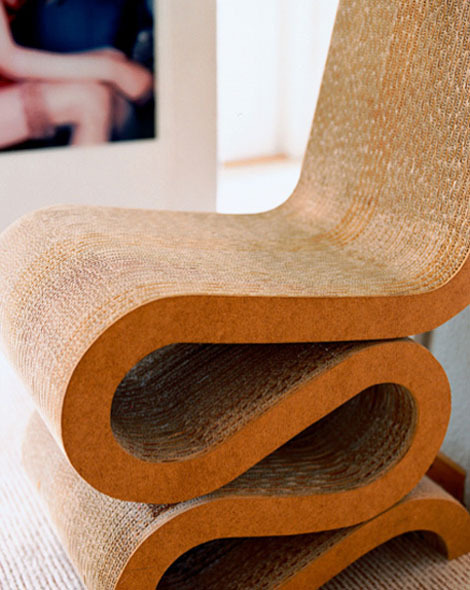 The line, which is still made and sold by Vitra, consists of modern chairs, tables. 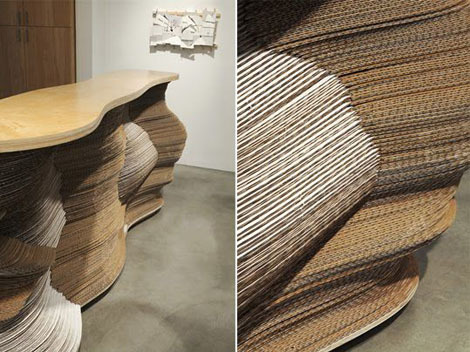 Made with hidden screws and fiberboard edging, the tables are said to hold thousands of pounds. 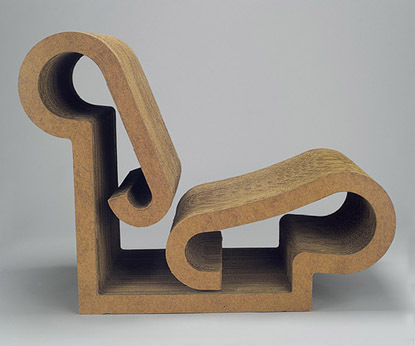 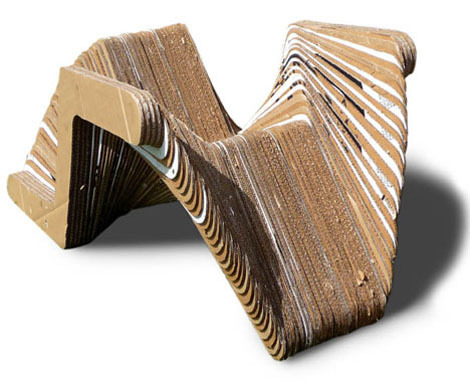 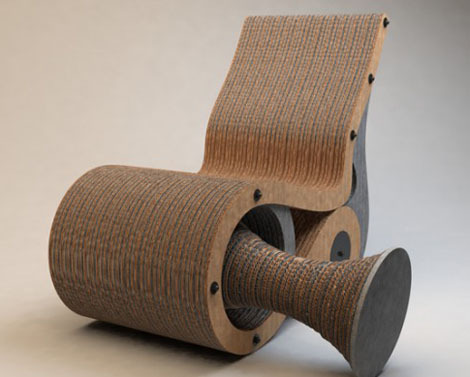 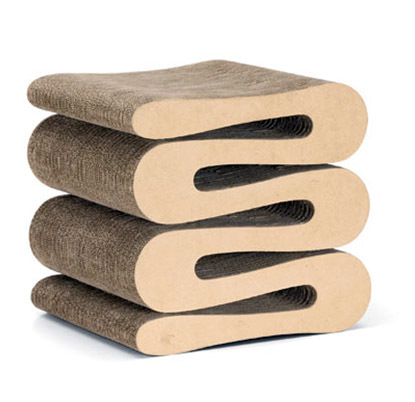 The "Wiggle Chair," which has won many design awards and has been included in museum shows at London's Design Museum and elsewhere, contains 60 layers of corrugated cardboard held together by hidden screws and fibreboard edging. 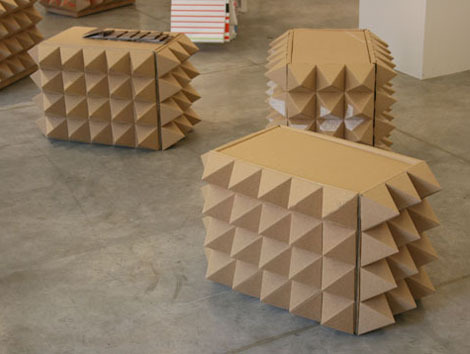 In the Beginning of the 80's cardboard furniture becomes very popular in France by the technique of Eric Guiomar. 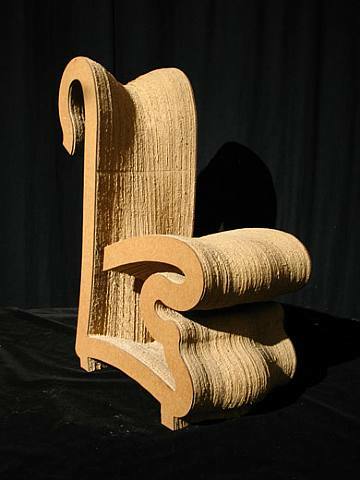 It is totally different to the technique of Frank O. Gehry. 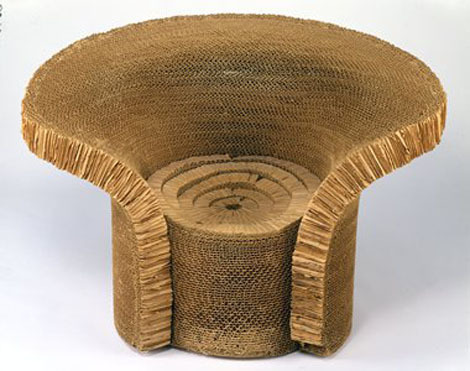 The furniture in the technique of Guiomar is made with corrugated cardboard, simple, double and triple groove. 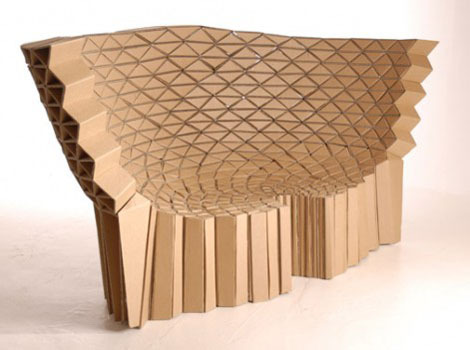 First, a frame is created with intertwined cardboard plates which are cut out according to the original design. 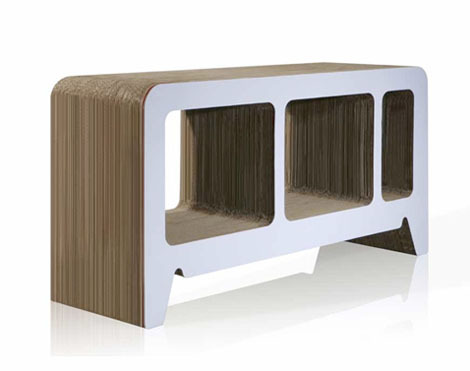 This is the support frame of the piece, just like it would be the case for a ship. 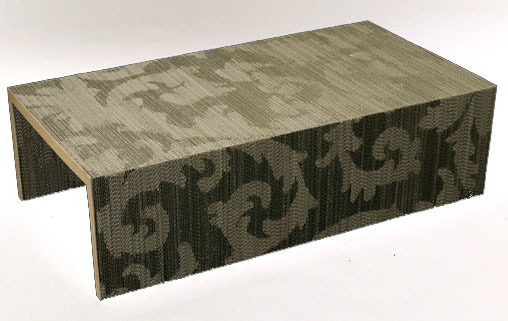 Then, the frame is covered with cardboard that will be "rolled" on its forms to a perfect fit. 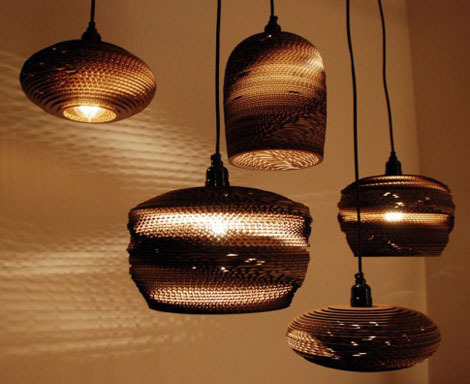 This technique allows a great freedom in the choice of shapes and materials. 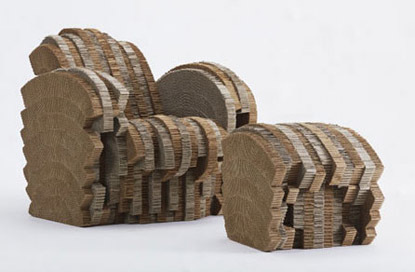 restaurant logos offered by Crafted Logo.